Broccoli. 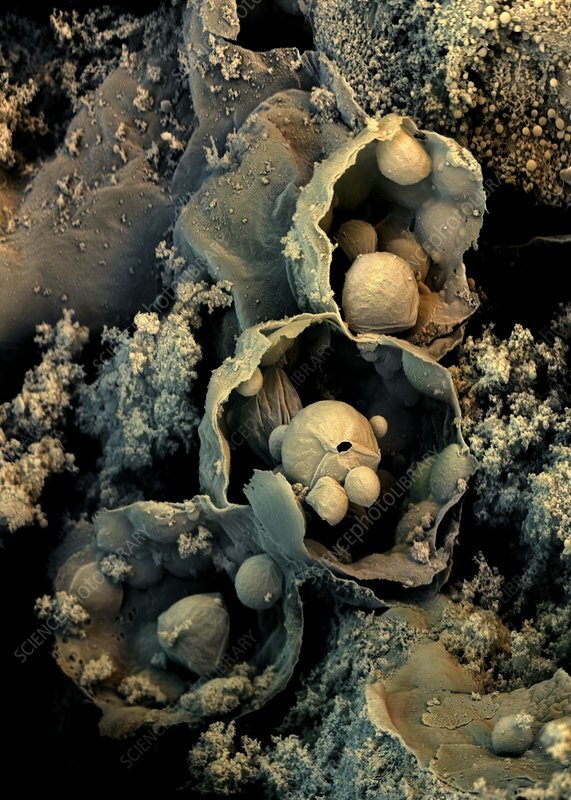 Coloured scanning electron micrograph (SEM) of plant tissue from the broccoli cultivar of the Brassica oleracea plant. This view shows a freeze-fractured section, showing internal structure below the plant epidermis.